Department of Art | Students Celebrate! Home » News » Students Celebrate! Two artists are celebrating the completion of their BFA degrees: Taylor Devine and Julianna Mercado will open a two-person show on the evening of July 11 from 6-8pm. Taylor, whose studio at the Carnaghi Arts Building is shown here, notes that this is a work in progress. Ambitious works are important pieces in establishing a painting career and Taylor and her colleague are poised on the brink of the next stage in their careers; for that reason, Graduating Artist exhibitions that close each semester are summaries, representing “exit” statements by the students. Yet such exhibitions are only the first of many opportunities for artists from the BFA program and MoFA staff wish them a successful launch. There’s plenty of summer weather yet to come (and summertime heat and humidity), but by July the Museum is preparing for the Fall semester and the return of the full student body in August. The catalogue for the first exhibition, The Tallahassee International, is at press, and negotiations for the 2014-15 calendar shows are nearly complete as well as the innumerable details for close to twenty exhibitions of varying sizes to be hosted in the coming year. While graduating artists will always have a space at MoFA, other students are welcomed to participate in many museum operations and all events, either as docents, volunteers, interns or in museum studies classes. 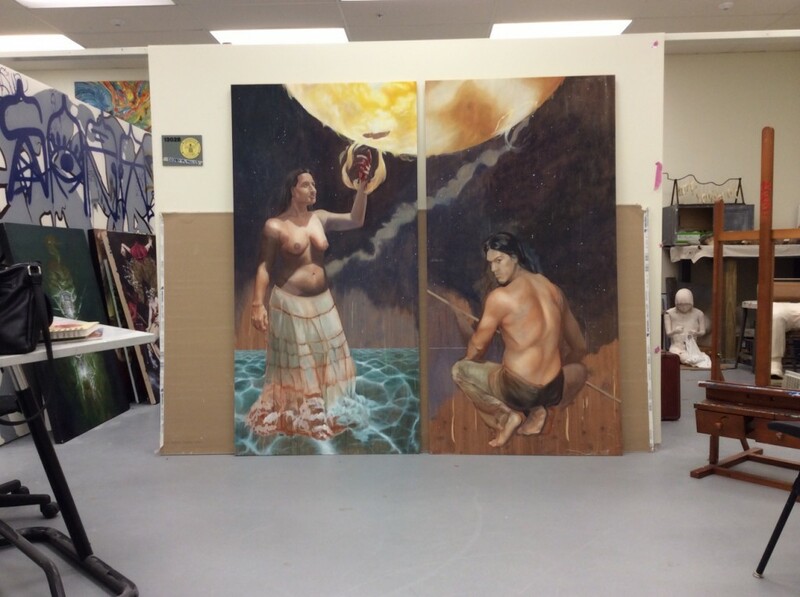 Taylor Devine’s studio at the Carnaghi Arts Building.